Tom, my charming and handsome husband, helped me tuck the tired munchkins into bed. Trick or treating is done and he walked by me and saw the monitor: handbags. He rolled his eyes shook his head--then said "That's my Karley" before walking out the door to go next door for Friday night poker with the guys. He knows I love shopping for handmade bags on Etsy. 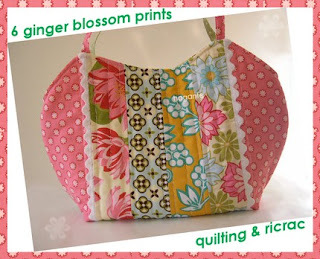 Mary Hogan of hoganfe has some of the loveliest handmade bags available on Etsy. 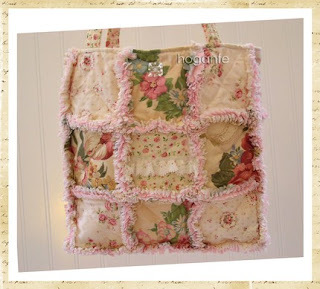 From Amy Butler to Laura Ashley, her shop is stocked with some of the prettiest bags. 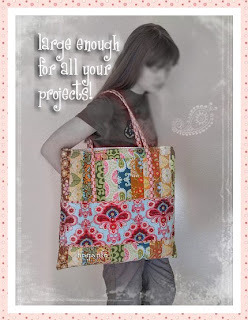 Tired of that same boring hospital-issused diaper bag with a formula logo on it? 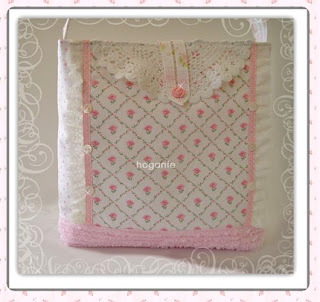 Please check out hoganfe for a chic and sassy diaper bag fit for stylish moms on the go. I no longer need to carry a diaper bag, but I remember the days of packing bottles, wipes, diapers, extra onesies, pacifiers, diaper cream, etc. Moms want a big bag with a comfortable shoulder strap, but they also want to have a piece they're not embarrassed to carry into a restaurant or out and about. I know when I carry a handbag, I need room for my wallet, Ben's stuffed giraffe named "Gert", crayons, a couple of Matchbox cars, digital camera, water bottle, sunglasses, keys and my little bag of business cards and samples so I can always be prepared. I don't want a cumbersome bag. I want a bag that's different from everyone else's but with plenty of room to spare. Head on over to hoganfe today. Tell her Chic & Green sent you on over! By the way, as I sit here with my coffee so I can stay up and do some work and a package of Nick's Whoppers from his Halloween basket, I hope you all had a great Halloween! Rub a Dub Dub Dub: My 2 Favorite Scrubs! Reminder: "GREAT SKIN FOR A CAUSE" in November! ETSY LOVE: I've Got to Have It! Free Shipping at Because We Are on Etsy! Introducing...Goat's Milk Eye Treatment Cream! ETSY LOVE: Your One Stop Turquoise Shop! NEW Today at kzm Facial Care Boutique! ETSY LOVE: For a Great Cause! ETSY LOVE: It's Tea Time!